Prime Commercial Corner strategically located at the confluence of two primary roadway arterials. 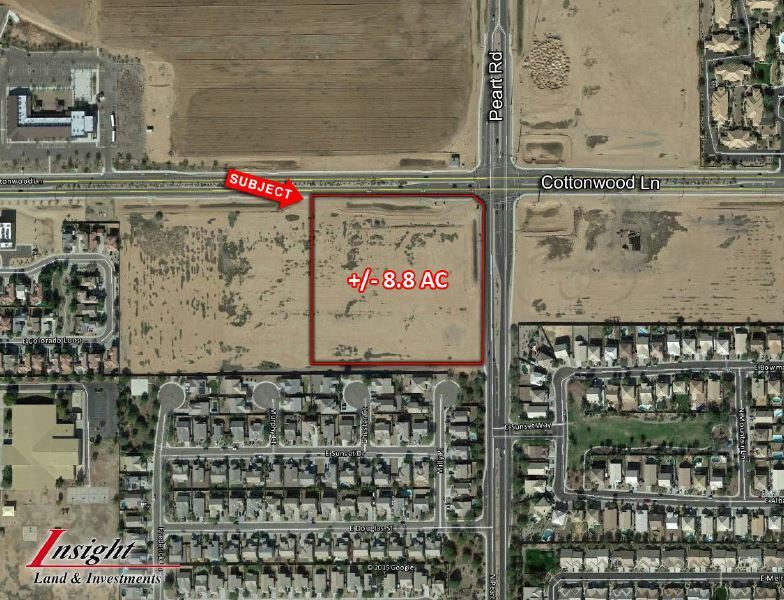 The site offers 581 ft of frontage along Peart Rd and 579 ft of frontage along Cottonwood Ln. The property is in close proximity to many newly built residential communities and area amenities.